As Jaques’s mother clings to life, he and his brother Toby wait for the inevitable. ‘Not long now,’ the Doctor says grimly. As they deal with all the business of death, Jaques reflects on his relationship with the mother he loved. She was fun, amusing, witty – she knew how to be happy. She was a good companion, and she was his friend. But as the family come to terms with their grief, they discover secrets from the past that threaten to change everything. Can the family manage to salvage Christina’s memory and the family ties that hold them together? And is everyone in the family being honest? From the talented Meredith Whitford, Missing Christina is a heartfelt, gripping tale of family strife and parental love. Meredith Whitford, a child of adoption herself, gives a heart-breaking insight into the psychological harm the issue of adoption can inflict. Meredith has published two successful historical novels, Treason and Shakespeare’s Will, and in 2014 a biography, Churchill’s Rebels: Jessica Mitford and Esmond Romilly,/em>. She is an editor and manuscript assessor, director of Between Us Manuscript Assessment Service. She lives in South Australia and has a BA in English, History, and Classics from the University of Adelaide, and a Master’s Degree in Creative Writing from Flinders University. Start reading Missing Christina on your Kindle in under a minute. This narrative gripped me from the start because of its strong voice, that of a contemporary young man who does not seem out of place to strangers in the modern Anglophonic world. The reader is never aware of the author’s presence as she maintains this deep point of view to the end. The result is that we are constantly right there in the shoes of the protagonist-narrator, perceiving and feeling all that he does. It makes for a powerful experience indeed. The central theme of this novel, it’s probably fair to say, is the varied forms love takes and the different ways it is acted out. But there’s also hatred, murder, and some cruelty that I can only describe as evil. And yet, at the same time, there is humour coming largely from the personality of the narrator and his witty, educated but colloquial language. Very soon after starting to read this novel, you’ll know you’re in the hands of a highly intelligent and skilled story-teller. If you let her carry you through, you'll be very, very satisfied. The loss of a parent is always a time of remorse and questioning; remorse for words not uttered, questioning a life that has ended. For Jaque Randall, successful actor, this time comes following the accidental death of his mother Christina in New York. The questions asked begin to unravel a life clouded by mystery, touching on crimes committed decades before, and intricacies in a family life where preconceived ideas are shattered. So begins a journey to discover the Missing Christina. Each family member is brought alive by the author, Meredith Whitford, each with their faults, foibles, and secrets; and Whitford draws you into the family circle, so you become a member and react in shock, amusement, and sympathy as each detail in the life of the mysterious Christina is laid bare. How well does one know a parent? Entertaining and absorbing. Highly recommended. 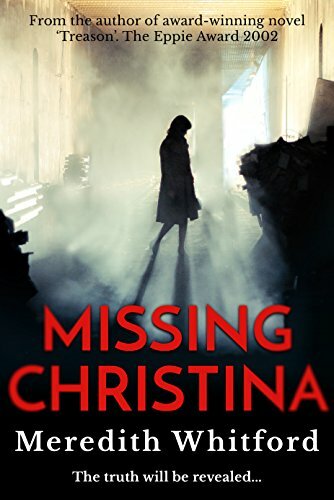 I was captivated from the very beginning of Missing Christina - Meredith is such a talented author who developed wonderfully complex characters that immediately drew me into the book. Her depiction of these characters, their relationships and their stories allowed me to immerse myself deeply into the narrative, and had my attention from the very first page. While parts of the story are of typical situations most of us can picture, especially the connection to Adelaide, Meredith has cleverly woven in just the right amount of drama, mystery and intrigue to create a novel that provides the escapism and suspension of reality that we all crave in our favourite books. 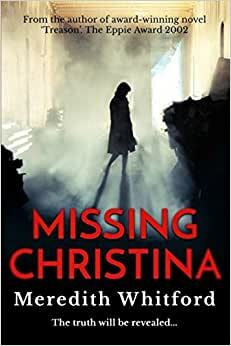 Missing Christina is a fantastic read and I highly recommend it! After his beloved mother dies, Jacques, an actor, finds what seems like a routine question from a researcher among her papers. Answering it, though, uncovers still more mysteries and questions. The protagonist and other characters are appealing and Christina's story is quite compelling. The book does include very sensitive themes of child abuse, but there's nothing exploitative about the depiction. Overall, the themes of family and acceptance overshadow the darker side. The notes about the different time period were captivating. I'm old enough to be familiar with the time period of the setting, to realize how vastly different the world is now, that all the major issues of the book, unwed motherhood, adoption, homosexuality, are all viewed and treated differently by and large. In these things the world is definitely a better place now than it once was. I almost gave up. I thought the story would be too sad. I'm so glad I persevered. The resolution of the mysteries were wonderfully entwined with the personal growth of the characters. What was surprisingly was to find out how much love was the engine for the actual historical events when at first glance the opposite seemed true. Overall, I hated for the story to end even though it was time. It was rather like saying goodbye to friends. 5.0 out of 5 starsConvoluted family secrets with a twist. I've read Meredith Whitford's four previous books, so I was really looking forward to this latest. It begins with the accidental auto accident death of Tia Randall, a successful crime fiction writer and viscountess. While sorting through her belongings, her eldest son discovers several puzzling anomalies, including an email from an Australian historian researching a local cold case from forty years earlier. The ensuing developments and eventual resolution are absorbingly chronicled, and a couple of gripping social issues soberly examined. The characters are realistically drawn and relatable, despite the whole viscountess thing, and the mood occasionally lightened by breezy, droll observances. A diverting and relaxing read with characters you can really root for. Recommended. This is one of the best books I've read this year. Well formed characters, interesting settings, and Avery well written tale make this book the perfect way to spend a weekend. Loved the humor and delightful twists. Interesting storyline right up to the very end. It was not what I expected the end would be. Great mystery.